The Columbia Gorge Hotel & Spa is a magnificent, beautiful and historic venue nestled on the stunning cliff side of the Columbia River. Perfect for any Bride our Boutique Hotel houses 40 individually decorated Rooms with views of our 208' waterfall, Wah Gwin Gwin! Nestled overlooking the magnificent Columbia River, our Point Lawn is perfect for the Bride seeking a scenic Pacific Northwest experience. During April our tulips surround this site and add a beautiful glow to the amphitheater! Followed by the fantastic daffodils in May and the blooming of the Cherry Blossom during the Summer months! This space accommodates 250 guests! Looking for a stunning outdoor space to hold your Reception? Our West Lawn is just the place! 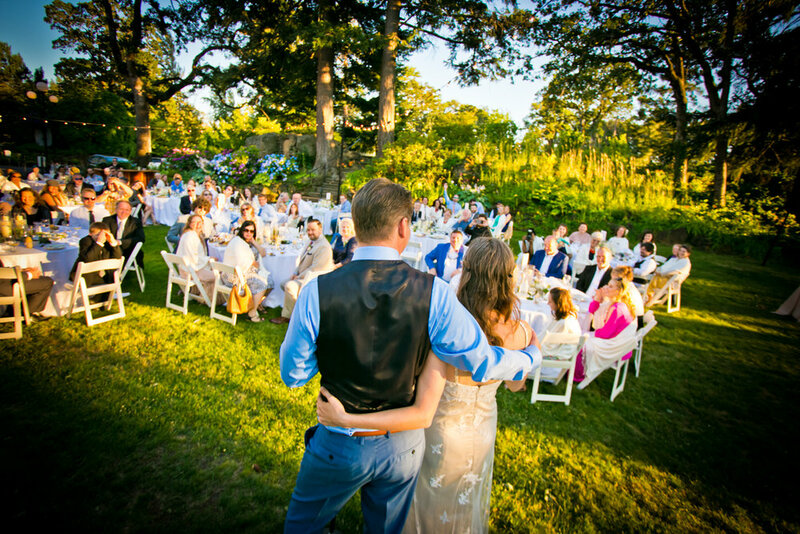 Outfitted with space and outlets for a dance floor and a DJ, a cozy location for a Satellite Bar and shaded by the surrounding Fir Trees overlooking the water over towards the Washington side of the Gorge, our West Lawn is ideal for the perfect Wedding Reception! The West Lawn can accommodate up to 175 guests, seated. Is your guest list on the larger side? Phelps Creek flows right next to our Front Lawn into our Wah Gwin Gwin Waterfall! Dance the night away and enjoy just one piece of our expansive 7 acres!